This season four East seniors and one West junior qualified to play in the WIAA Division 1 Girls State Individual Tennis Tournament in Madison on Oct. 13-14. Perhaps even more impressive, though, is that all five girls have a perfect 4.0 GPA and are potential valedictorians. That unique roster includes East seniors Meredith Vande Zande, Ally Bensen, Melina Schaetz and Anne Rieke, and West junior Brianna Bembenek. Having high grades while being an athlete is extremely hard to do. It takes dedication and persistence. All five players train competitively year round at Pleasant Valley Tennis and Fitness Club in Jackson. In addition to intense training, many of the girls have set high goals for themselves academically. “From a young age, I always wanted to be valedictorian and have a 4.0 GPA in high school,” Bembenek said. Maintaining an impeccable GPA and constantly training is not always smooth. Often there is chronic stress, late nights, and lots of post-practice studying. Despite the strenuous work it takes to be a student athlete, the girls recommend younger students consider playing a sport because it teaches time management and responsibility, and creates lifelong friendships. They also mentioned that playing a sport pushes you to have high grades. 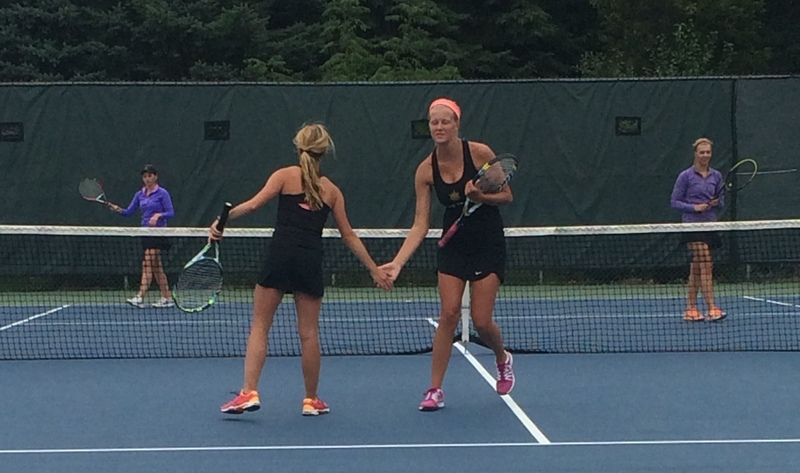 At the state tournament, East’s two doubles teams (Bensen/Vande Zande and Schaetz/Rieke) each won their first round match but lost their second match to extremely challenging teams. West’s Bembenek lost her first round match at No. 1 singles. All five girls are currently planning to attend a four-year college, with Bembenek expressing the ultimate ambition of medical school. They are hopeful to pursue their love for tennis through the option of club teams at the collegiate level. “I plan to attend a four-year college, but I am currently undecided on which school. I plan on playing club tennis in college if that is a possibility,” Rieke said.